Get involved with the Echinacea Project at our field site or in our lab at the Chicago Botanic Garden. Please contact us if you have any questions. Learn about what it’s like working with Team Echinacea. Undergraduate research internship through NSF’s REU program. Applications due in early 2020. Field Research Assistantship. Applications due in early 2020. Research Internship for High School Students. Applications due in early 2020. K-12 Teacher Researcher through NSF’s RET program. Applications for summer 2020 due 11 November 2019. Check out ways to get involved during the academic year. Undergraduate research internships at the Chicago Botanic Garden. Volunteer in the lab. Join our Team! Interested in lab and field work? Here are the ways you can do both! Research internship for college graduates. 12 months starting in June. Applications due in early 2020. Graduate student positions at Northwestern University and University of Minnesota. Applications for the Northwestern M.S. program due February 15th 2020. Post-doctoral position (none currently available). 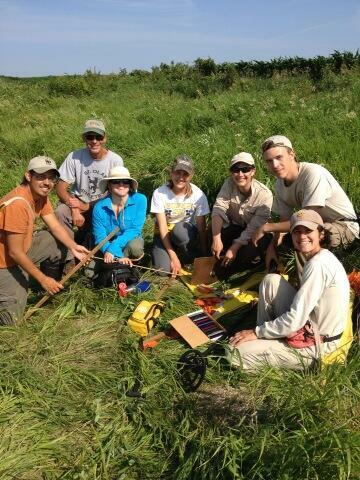 Investigate ecology and evolution in fragmented prairies as a member of Team Echinacea. Join us!